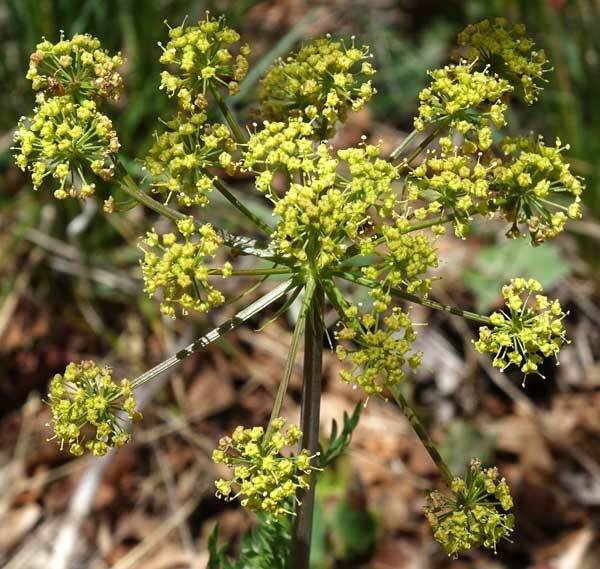 Accurate identification of the several dozen species of Lomatium is, according to Intermountain Flora, "notoriously difficult.... Some species are highly variable...." Both fruits and flowers are often necessary for identification. 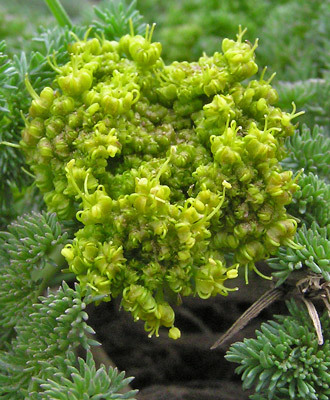 Intermountain Flora further observes that "the distinction between Cymopterus and Lomatium is subject to failure". Ordinarily one or more of the Cymopterus dorsal seed ribs have wings; Lomatium seed ribs do not have wings. "Cymopterus newberryi completely bridges the difference. In this species the dorsal wings vary from nearly or fully as large as the lateral ones to poorly developed or even obsolete". "Loma" is Greek for "border" and refers to the small wings of the fruit. The genus was named by Constantine Rafinesque in 1819. Semi-desert, foothills. Shrublands, woodlands, openings. Spring. Above: Dolores River Canyon, May 6, 2016. Left: Prater Ridge Trail, Mesa Verde National Park, May 2, 2006. 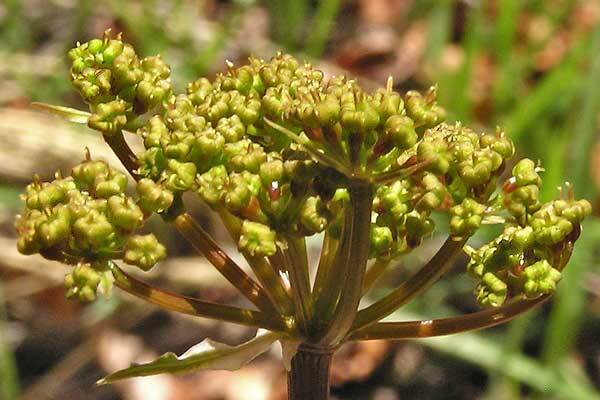 Lomatium dissectum can grow to over four feet tall, but in the Four Corners area it is most often 2-3 feet tall. It is typically found at the lower elevations of the foothills in shrublands and woodlands, in the latter as shown on this page. 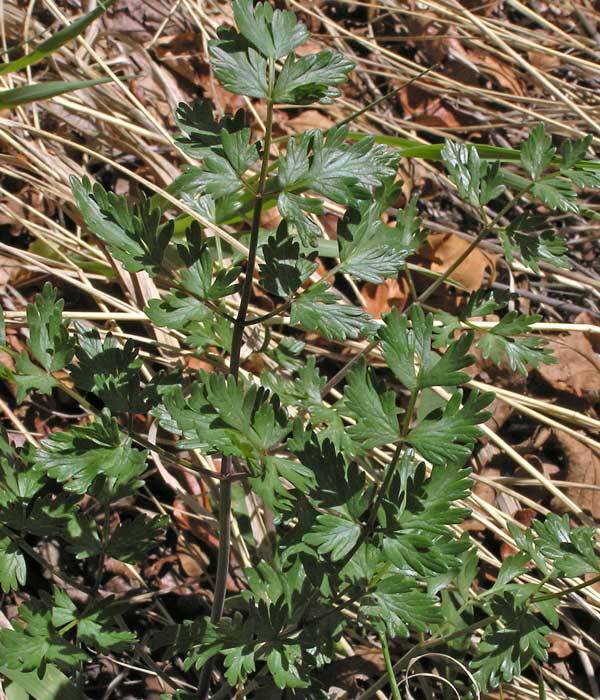 Leaves (and perhaps even the entire plant) might be mistaken for Ligusticum porteri but the latter has much larger, spreading leaves, consistently puts out a taller flowering stem with white, not yellow flowers, and occurs not only in the foothills but also the montane zone. Thomas Nuttall named this species Leptotaenia dissecta from a specimen he collected in Oregon in the mid-1830s. 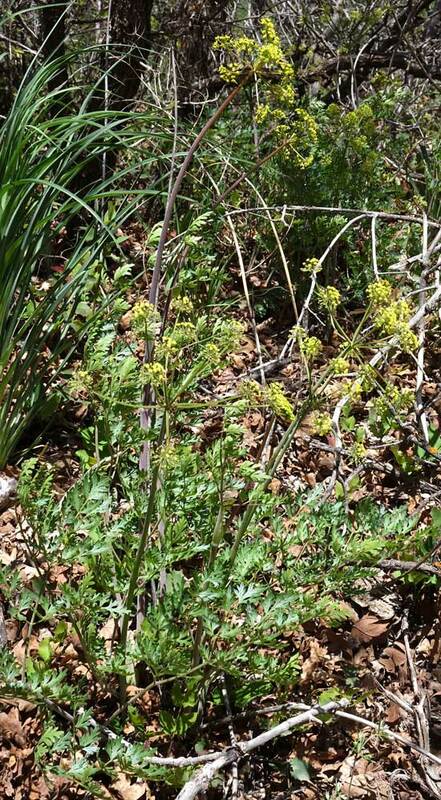 Mathias and Constance renamed it Lomatium dissectum in 1942. 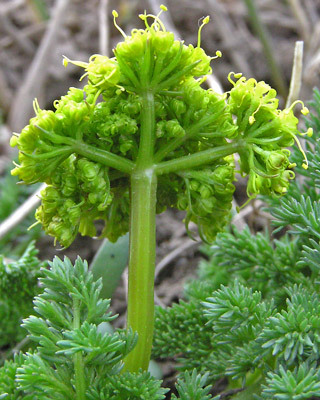 The plant is sometimes called Fernleaf Lomatium or Fernleaf Biscuitroot. Prater Ridge Trail, Mesa Verde National Park, May 2, 2006; Sleeping Ute Mountain, May 7, 2012; Dolores River Canyon, May 6, 2016; and Prater Ridge Trail, Mesa Verde National Park, June 29, 2016. 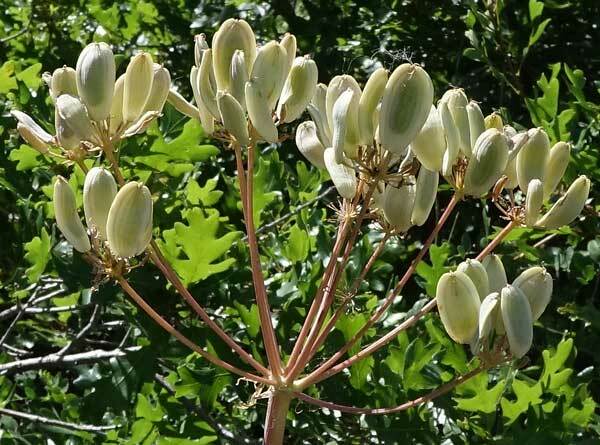 Clusters of tight buds open to attractive sprays of golden yellow flowers and then mature to seed heads 3-6 inches in diameter with fruits from 1/3' to 2/3' long. Seed head wings are 1-2 mm wide. Prater Ridge Trail, Mesa Verde National Park, May 2, 2006. 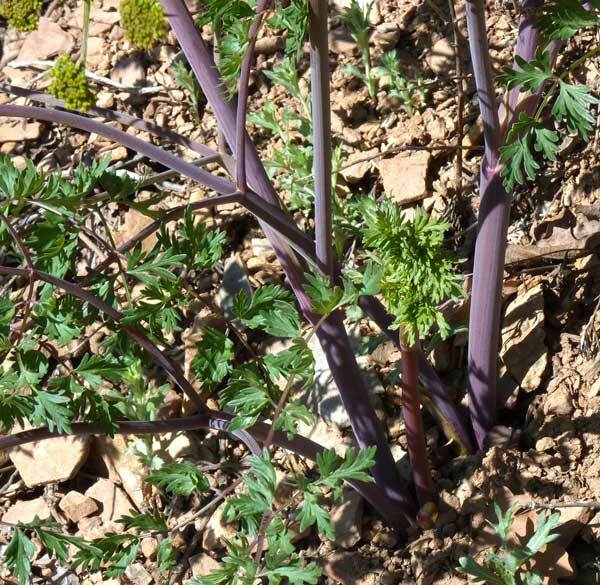 Lomatium dissectum grows to four feet tall with robust stems that grow from a taproot that is a foot long and an inch wide. Stems are typically purple to purple-tinged. The majority of the green in the top photographs above belong to just one leaf. Each large leaf is cut into smaller leaflets which are cut again into fine leaflets. The plant at right has leaves that are cut more consistently one more time than those of the plant at left. 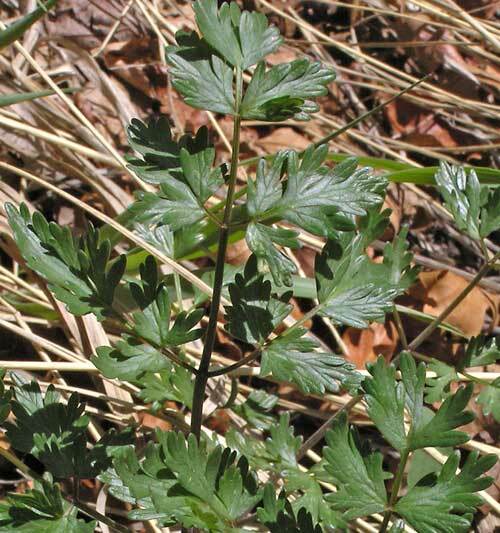 Leaves are similar to those of Ligusticum porteri but are generally more glossy and not mottled green as those of Ligusticum commonly are. 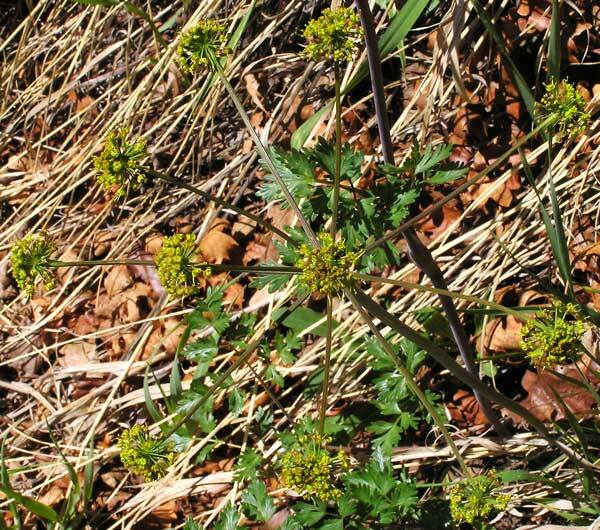 Lomatium dissectum has yellow flowers in the spring; Ligusticum porteri has white flowers in the summer. 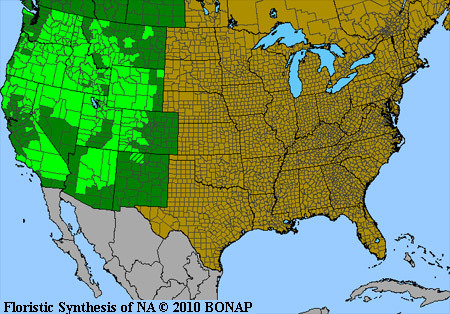 The ranges overlap in the lower mesas but only L. porteri is found in the higher mountains. Lomatium dissectum is commonly broken into three varieties, one of which is found in the northwest. Varieties eatonii and multifidum are separated primarily on the basis of how finely their leaves are cut. 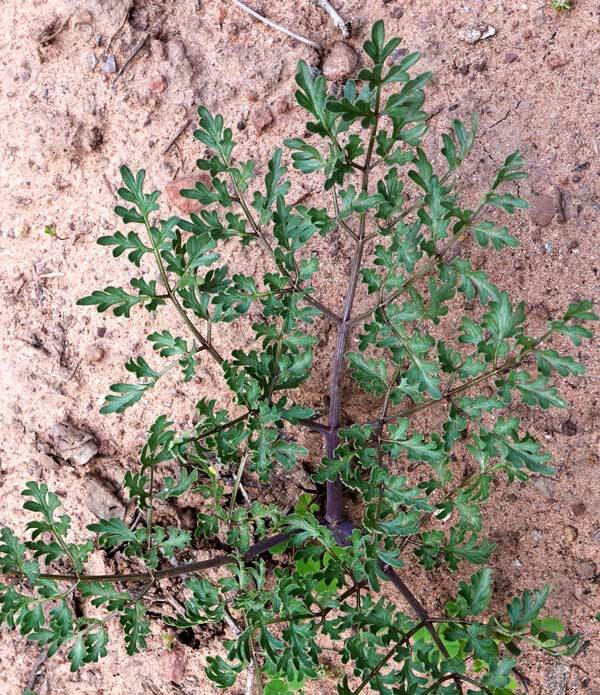 Some experts indicate that the variety found in our area is eatonii and some indicate it is multifidum. Because of this disagreement, I have chosen not to label to the level of variety. Dolores River Overlook Trail, April 25, 2007. 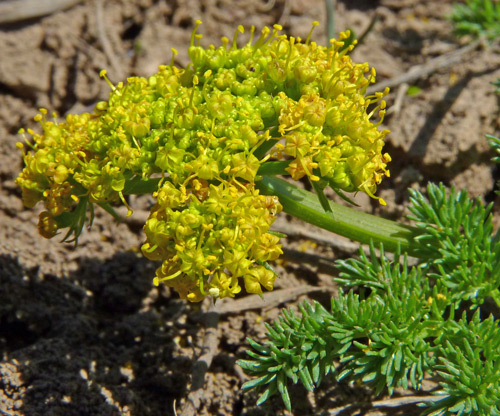 This is a wide-spread and abundant Lomatium blooming in the early spring in the Four Corners area of Colorado and Utah. 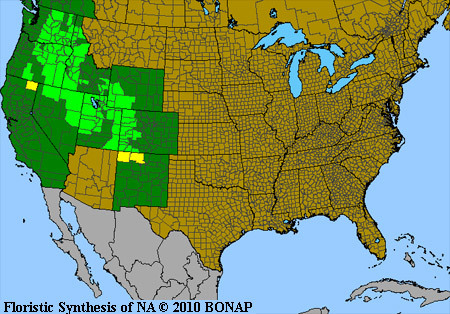 It is rare in New Mexico and absent from Arizona. 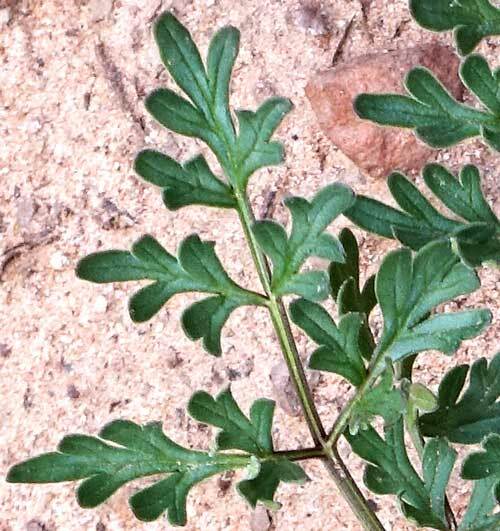 Leaves are subdivided into numerous, fine segments that turn in different planes, giving the plant a very thick, fern-like appearance. Flower stalks often lean. Near Lone Mesa State Park, April 23, 2012.